My recent movie was Transformers: Dark of the Moon, the latest movie directed by Michael Bay and produced by Steven Spielberg. It is the sequel to Transformers and Transformers: Revenge of the Fallen. Have you watched all of it?? I personally much preferred the 2nd one – Transformers : Revenge of the Fallen. Main reason was because………. Megan Fox no longer appears in the latest one – Transformers: Dark of the Moon. Moreover the storyline was better too. Megan Fox’s role was taken off the show! Heard that she quit or offended the director?? (wasn’t quite sure bout it). Still…..its so sad lah! I thought ‘Sam & Mikaela’ were about to get married…All of sudden this new actress Rosie Huntington-Whiteley (as Carly Spencer) casting in Transformers: Dark of the Moon..which I felt it doesn’t clique at all….HUHUHUHU…. 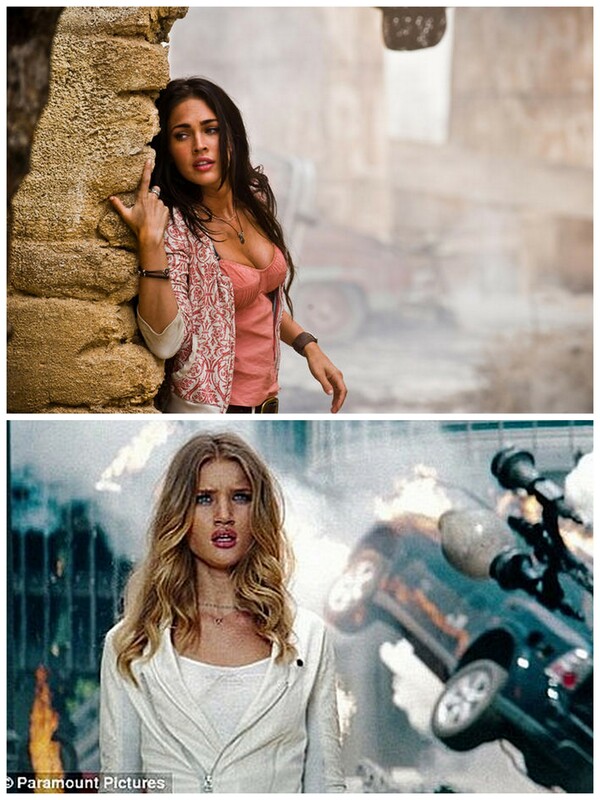 Megan Fox vs. Rosie Huntington. Definitely Megan Fox scores higher. Don’t you think she is much hotter & natural?? Sorry; I don’t like ‘ma yoon cheong’. If you did watched Transformers : Revenge of the Fallen, you will remember that Megatron got injured by Optimus Prime. This picture is the first screen appearance of Megatron in Transformers: Dark of the Moon. I was having a great laugh seeing that. Covering his face with this kain buruk. Hhahahah…look like the makcik selling nasi lemak. Ooppss… Anyway…robot do cares about their image. I was thrilled by this scene. 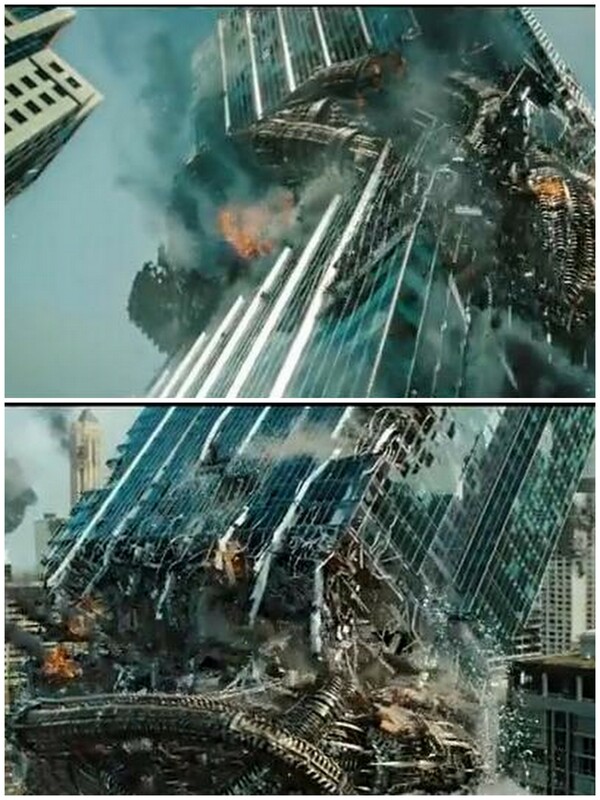 Shockwave – a new Decepticons in Transformers 3 doing the drilling. WOW! Worth to watch? YES! Its still worth watching….. Don’t miss that! i totally agreed with you lor!!! Megan Fox looks way better with those autobots!! her tanned skin and face… and she acts better than that Rosie STONE lor…. macam stone gum, lousy acting man! Saje nak bergaya and pose. Ish…. Eh, stupiak Megatron memang jaga image de…. got hole in the head ler, cannot let ppl see…… LMAO!!!!! At the end, head kena chopped off by my macho Optimus. Wuahahahaha……. Yalah…though dia mmg model…but nonit to emphasize kua…. Donno will still have transformers mah… i hope they have lor….. i want see optimus prime in action again leh…. and maybe next sequel will be bring Ironhide back to life. WUahahahahhahaa……..
Ash – Walao….good imaginations lo u…. Megan Fox is way much hotter! ← What does your pimples say?